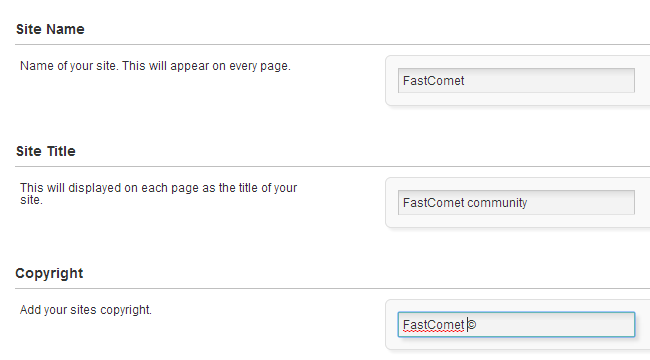 This feature will allow you to set the name of your website, site title, copyright information and much more. It is important to configure that properly as it will provide basic details for your users when reviewing your website. Select the Settings button from the top menu and then Manage Settings. In the Global Settings section, choose the General option. Site Title: Enter a title for your website. Copyright: Enter the copyright information for your website. Official Launch Date: Enter a date when the website will be officially put into production. Click on the Submit button to keep the changes.